Home > How Dubai Frame is Tantalizing Everyone With LEDs! The Dubai Frame is designed by architect Fernando Donis and stands tall in the city’s Zabeel Park. The eye-catching towering structure is made out of glass, steel, aluminum, and reinforced concrete. The frame is strategically positioned in a way that popular landmarks of modern Dubai can be seen on one side, while from the other side, visitors can also view the old city, clearly demarcating. The Dubai Frame opened in January 2017 and to celebrate its first anniversary, Signify the lighting company behind its façade lighting released its pictures. Signify collaborated with Tryka, British lighting design specialist to illuminate the splendid Dubai Frame, which is the newest landmark that represents a giant picture frame outlining the city. 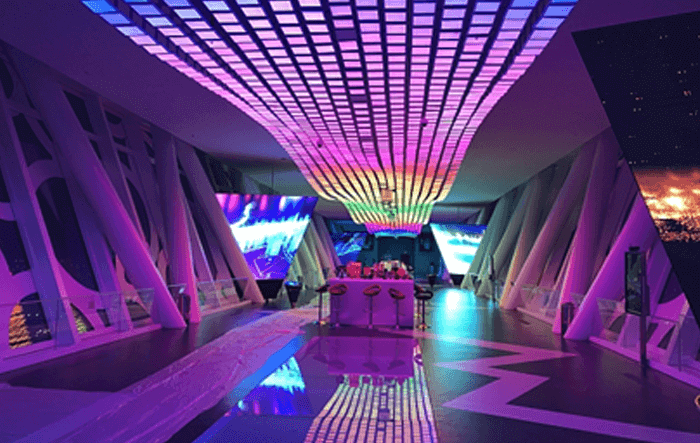 Around 500 Signify LED luminaires and spotlights dynamically switches from purple to greens to yellows and other hues, creating eclectic light scenes on the façade of the 150×93m (492×305-ft) monumental structure. 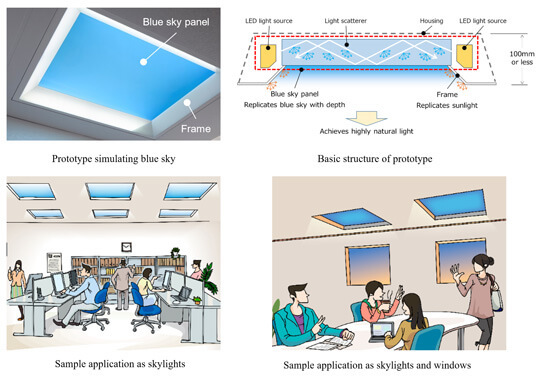 Additionally, around 3000 UK-based Tryka (250×250-mm) beautifully produces changing colors and visual effects on the ceiling of the enclosed glass viewing area at the top of the frame which can be reached by elevator, under instructions from a Pharos LPC X lighting control system.